Internet users today are using mobile devices more than ever to search things and get their business done. 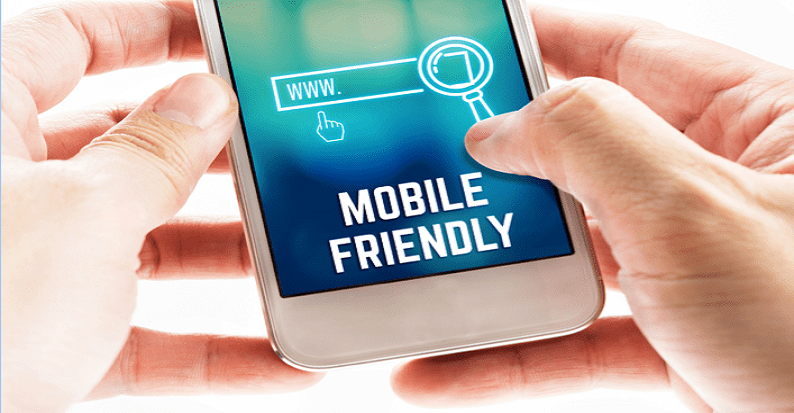 Mobile phones, tablets, laptops, gaming devices, watches, and other mobile devices are used today by more than 55% of consumers & it is extremely important for your business to have a mobile-friendly website to keep up with the current trends. These websites are designed to display content across all devices in an aesthetically pleasing and easy to read format. In responsive websites content and interface are formatted to display properly on smaller screens like that of smartphones and tablets. Cedar Software Technologies, eminent web application development company in Cochin brings to you mobile friendly websites that helps your business to grow! Nowadays, Internet users care about the user experience as much as finding the actual information they are searching for. With the reduced screen size of mobile devices, users will often prefer websites that have visually appeal, easily comprehended sections than websites with poor mobile layouts. Recent studies have found that 52% of online users are less likely to do business with a company if they had a bad mobile experience. How fast the pages load is an important criteria! Normal websites not optimized for mobile devices will load slowly or not at all. But responsive websites will load quickly as its code is structured such that it makes the website completely compatible with mobile devices. As more and more users are using mobile devices to access the internet, search engines like Google have begun to take notice and started favouring responsive websites over other websites. Hence a responsive, mobile-friendly website can help to boost your business’ website in search result rankings & will also help keep your website relevant. Keeping your business ahead in progress. Fast changes and drastic updates are taking the internet world by storm and this can often interrupt the flow of your business. A responsive website design can help protect your business from such changes by search engines continuously updating for new mobile trends. You are also able to provide consumers with the best possible user experience. With such a design you don’t need to alter the layout of text, pictures, and videos depending on the device your visitors are using. Mobile devices of today are always changing as mobile companies are constantly going for larger screens and new devices are always being introduced. It only makes sense to use a website structure that already accounts for the changes of the future – a mobile friendly design! If you are interested in building a mobile-friendly website get in touch with Cedar Software Technologies, leading software company in Cochin.